Largest Donation Ever Received By Soul’s Harbor!! This month we received our largest donation ever – $50,000 from the Hillcrest Foundation. This grant will be used to purchase a brand new box truck that will be used to pick up food from the North Texas Food Bank and donations from our thousands of donors in the DFW metroplex. The Hillcrest Foundation was created by Mrs. W.W. Caruth, Sr. in 1958 to provide financial support to qualified Texas charitable organizations for the advancement of education, the promotion of health and the relief of poverty. Most grants are made to charitable organizations located in Dallas County and the surrounding area. Mrs. W.W. Caruth, Sr. was from a pioneer family who settled in the Dallas area in 1848. Several Caruth family generations owned and managed farms and ranches, which the family later developed into real estate properties as Dallas became a major metropolitan area. Each succeeding generation has been characterized by a pioneering spirit, vision, courage, hard work and generosity. The Hillcrest Foundation was created to carry the Caruth family’s generosity to the people of Texas. Thank you, to the Caruth Family and the Hillcrest Foundation. Thank you to the Miracle Temple Fellowship Church in Lancaster who provided an extensive Thanksgiving feast for all our men. Our guys were treated to a delicious meal along with a praise and worship service. We had this great dinner the Saturday before Thanksgiving. Then, on Thanksgiving day, our kitchen staff, along with our volunteers – John and Dee Ann York and their family, prepared a three course Thanksgiving dinner. All the men’s bellies were full. Then we watched our Dallas Cowboys beat their hated rival – The Washington Redskins. A great Thanksgiving Day for everyone. We want to thank all of our donors, our thrift store customers, and all of our volunteers for making Soul’s Harbor a very special place for our 66 men who are struggling with drug and alcohol addiction. Also, we want to Thank God for having his hand over Soul’s Harbor since 1956. We also take automobiles “Vehicle Donation Request Form” . 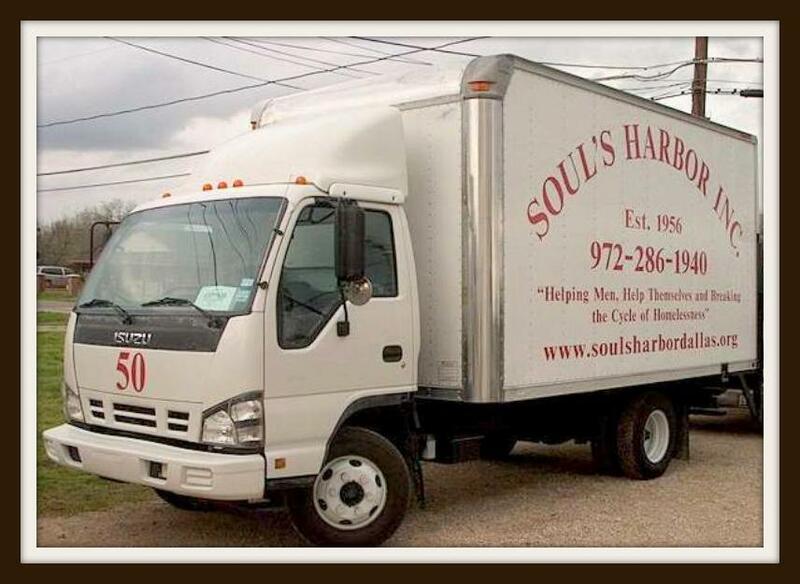 So if you have old clothes, furniture, appliances, household items, or even a car to donate to Soul’s Harbor, either fill out our online form or call our dispatch office at 972-286-1940. Our dispatch office is open Monday through Saturday from 7:00 AM to 6:00 PM. We are sustained solely through our four thrift store sales.